While there are an abundance of open-pit gold deposits in the world, there are very few high-grade ones. This is especially true when it comes to Canada. Over the past decade there have been several acquisitions of open-pit gold deposits in Canada, but the average grade of them has been less than 1.3 grams per tonne gold. Cote Lake (Trelawney) was acquired for $609 million by Iamgold for $550 million, and most recently Coffee (Kaminak) was taken over by Goldcorp . 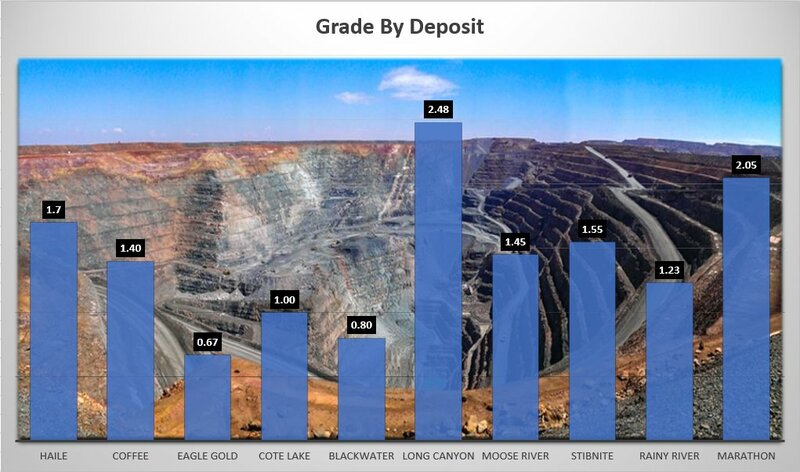 Fortunately for investors who missed out on these opportunities, there seems to be a new high-grade open-pit explorer in town.